Soak up the sun on a quiet beach, kayak tranquil coastal waterways, visit the birthplace of Texas, and hike on scenic trails shaded by towering pine trees. All of these many adventures are yours for the taking at the Texas State Parks near Houston. Settled near the Texas Piney Woods and the Gulf Coast, Houston is a great starting point for experiencing these two different worlds. Not only that, one-of-a-kind historic sites abound, such as the birthplace of Texas (Washington-on-the-Brazos State Park), the San Jacinto Battleground State Historic Site, and the Battleship Texas State Historic Site. If you’re looking to discover Texas’ history or to explore the great outdoors, you have no shortage of state parks to visit near Houston. Check out a few of the options below and start planning your next adventure today. Immerse yourself in the pristine and unspoiled beauty of the Texas Gulf Coast at Sea Rim State Park. 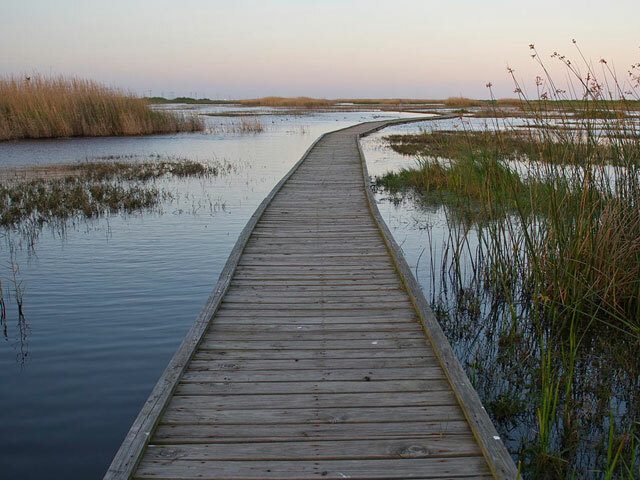 Set among coastal wetlands about 100 miles east of Houston, the park is a natural wonderland full of endless adventure. Paddle along the park’s 16 miles of trails that take you through tranquil marshes channels and lakes. Opt for one of the three trails ranging from an easy one-hour excursion to a challenging four-hour, 10-mile tour that will test your fitness. Along the way, you may see alligators or some of the many kinds of native and migratory birds that call the park home throughout the year, including roseate spoonbills, egrets, herons, ducks, and meadowlarks. In addition to all its inland wonders, Sea Rim State Park sits along a five-mile stretch of Gulf Coast shoreline. Build a sandcastle or work on your suntan on the beach and swim in the gulf. The park is also a great place to go fishing as you can enjoy the best of both worlds: saltwater fishing off of the beach and freshwater in the marsh lakes and estuaries. When it’s time to turn in for the evening, pitch a tent right on the beach or spend the night at one of the campsites, some of which come with electricity. Admire all the diverse wildlife of the Texas Gulf Coast when you visit Sheldon Lake State Park. Located just 20 miles from downtown Houston, the park is a former fishery turned learning center. Follow the half-mile self-guided nature trail and you’ll pass 28 naturalized ponds home to alligators and other animals. 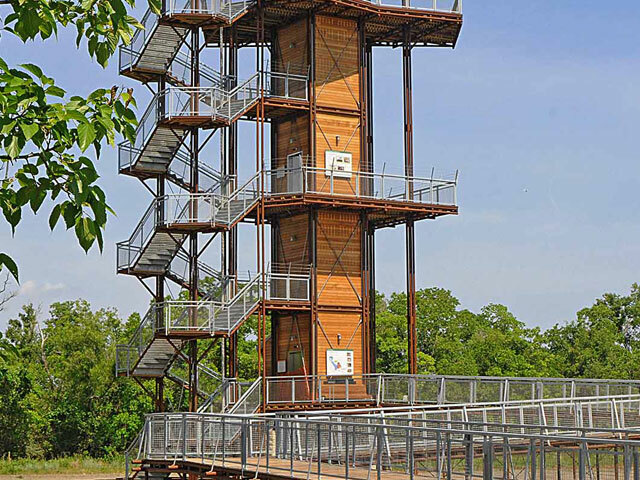 For a photo-worthy view of the park, ascend to the top of the 82-foot-tall John Jacob Observation Tower, from where you’ll spy the surrounding wetlands and the Houston skyline off in the distance. Wildlife observation isn’t the only thing you can do at Sheldon Lake State Park. Cast your line from one of the two fishing ponds open year-round, or drop your boat into Sheldon Lake from the ramp on Pineland Road. The Battle of San Jacinto may have won Texas her independence from Mexico, but it was in Washington-on-the-Brazos that she was forged into a nation of her own. During the runaway scrape of March 1836, delegates from all over the territory met to formally declare independence and craft a constitution for a new republic. 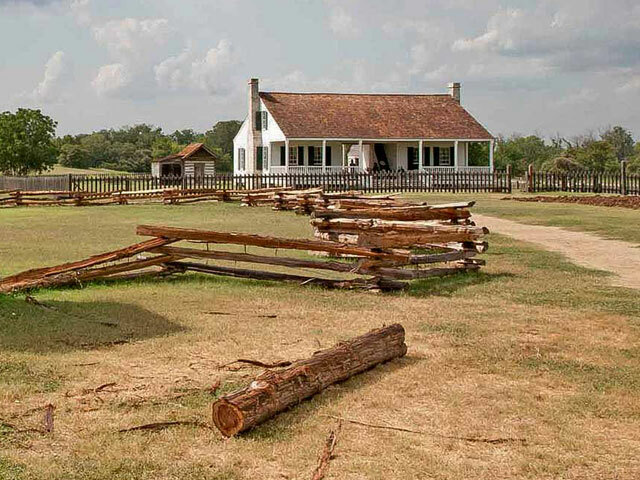 Today, the site of the Birthplace of Texas stands as Washington-on-the-Brazos State Park, a tribute to this momentous chapter in American history that offers a peak at what life was like in the Lone Star State’s earliest days. Step inside the Star of the Republic Museum to see a chronological and cultural history of early Texas, from the Native Americans to the events of the Texas Revolution. Then stop by Independence Hall, a recreation of the simple frame building that the Texas delegates met in to form a new nation. Finally, see what life was like on the frontier in the mid-19th century at the Barrington Living History Farm. Formerly the home of Anson Jones, the last president of the Republic of Texas, the farm is manned by costumed interpreters doing chores around the farm, just like they would have done 150 years ago.